As we all very well know the cost on health care has multiplied many folds during the last few decades. No matter how much you try, unless you are rich or at least belong to the higher and still higher middle class, you will be hit with one or more medical bills, in your lifetime, that would spin your head around. Even with insurance, your co-payments in a year can add up to be a potential burden on your family finances. However, you can take certain steps to minimize the cost of your health care at any age. Here are a few ways how to stretch your dollar without sacrificing quality health-care. As the old age goes “the cheapest illness to treat is the one you never get.” As we all know obesity tends to be at an epidemic proportion in the United States. That potentially can create all kinds of illnesses. The best way to handle it is to adjust your lifestyle to reduce your risk of serious and expensive ailments, particularly the most serious, namely, cancer and heart disease. Exercise for at least 30 minutes three times a week. Go on walks with your loved ones, eat a low-fat, high-fiber diet and don’t smoke. In many parts of the country, shopping malls and drug stores offer everything from eye exams and flue shots to screenings for high blood pressure, diabetes and cancer. Get the free tests done at regular intervals. You have to be on a lookout for the availability of these tests. The same tests can cost upward of $200 in a doctor’s office. Find out exactly what’s covered. Make sure to submit claims for everything for which you are covered and you can expect reimbursement. Hospitals are notoriously inaccurate and out of line. If you were operated on, check with the surgeon after surgery. The doctor puts you under the knife physically. The hospital puts you under the knife financially. Did they use all the equipment and supplies you were billed for? Was medication ordered that you never needed and was never used? If you find any discrepancy, call the hospital billing department ASAP and ask that your bill be reduced. If it’s not true emergency, avoid ER. Non-emergency ailment in ER will cost you probably 10 times more than it will in a doctor’s office. Pharmacists are quite often knowledgeable about simple but effective ways to cut prescription costs. You might save money in co-payment, if you buy a 90-day supply of drugs rather than 30-days supplies. 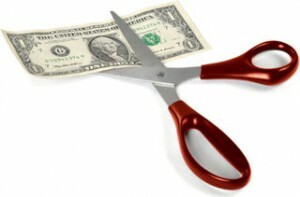 There are ways you can cut your medical bills. You just have to be aggressive and knowledgeable about what’s going on. The simplest thing to do is ask questions.